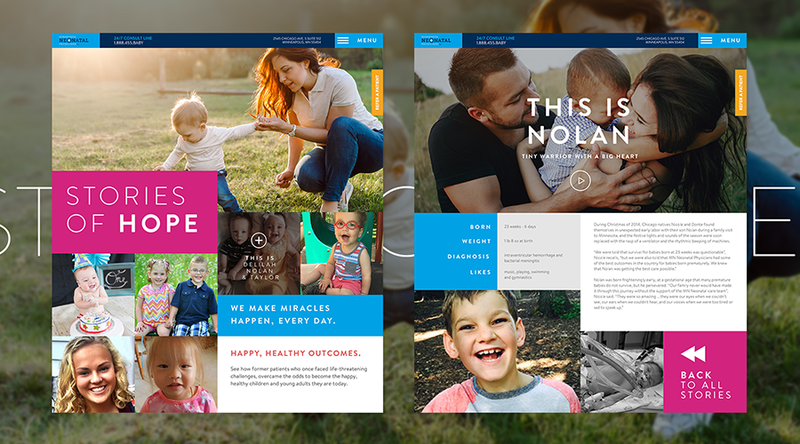 We helped completely redesign MN Neonatal to align them with their core values and beliefs of professionalism, family-care, high-quality, and sophistication. We designed a brand new site which included a completely new experience for parents who needed to access certain areas of the site quickly and easily. It was clear from the onset there needed to be a ‘path’ or a ‘journey’ in which users engaged with immediately when they landed on the homepage. We created a catered journey to each prospective user and leading them to the vital information they needed. The look and feel needed to be human, simple, clean, and sophisticated all the while having some areas of focus on children. 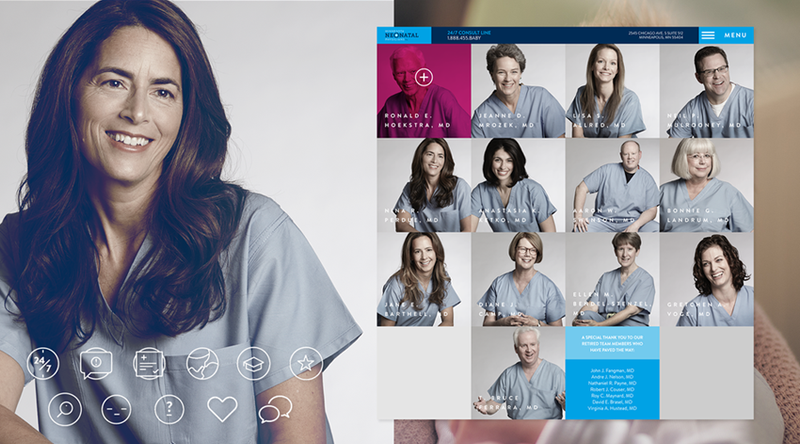 We wanted the site to feel innovative and professional, to reflect the great work they do in saving children’s lives everyday.